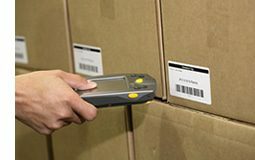 Barcoding and Barcodes | Mail-O-Matic Services Ltd.
Trust Mail-O-Matic for our barcoding and barcodes technology that allows us to print sequential numbers, bar codes and other images onto letters, response devices, inventory forms, shipping tags and permits. By knowing immediately package information such as contents, weight, sender, recipient, and more you will increase your productivity and reduce costs. Mail-O-Matic is a full-service direct marketing company providing barcoding services that help you accurately track and identify packages and contents.